Excellent finance deals available. Drive away same day - with no extra admin fees! STILL UNDER MANUFACTUER WARRANTY! Part exchange welcomed. SERVICE AND MOT NOT DUE! Spare Key Included! 1 OWNER from NEW! 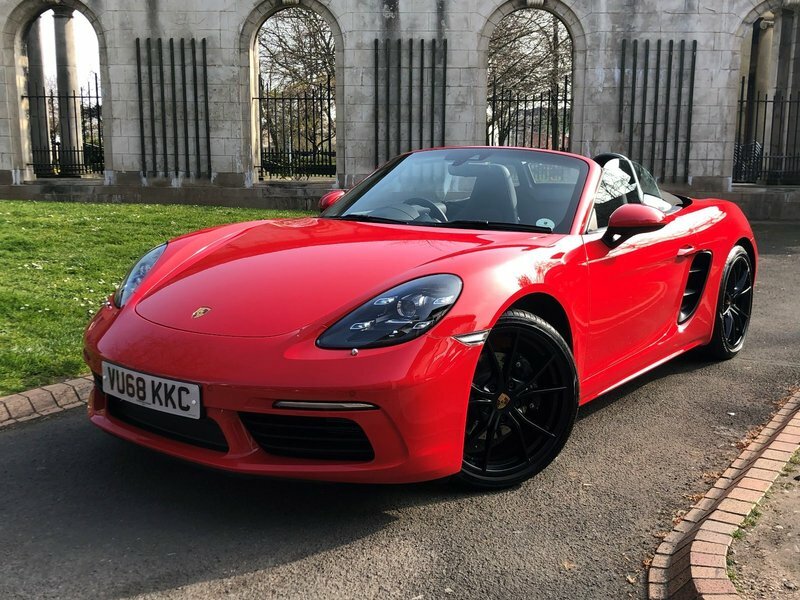 This car comes with; Sports Chrono Package, Park Assist (FRONT and BACK) Reverse Camera, Black Leather Interior in Excellent Condition with 'Porsche Crest' Embossed on Head Rest, Cruise Control, PDK Gearbox, Connect Plus with Online Navigation, Apple CarPlay, 4G Telephone Module and Wireless Internet Access, Porsche Car Connect included, , Heated GT Sport Steering Wheel, Heated 2 Way Electric Seats, Auto LED Headlights included Porsche Dynamic Light System+ (PDLS+), Bluetooth, DAB Radio, Drive Select, Auto Stop/Start, 20" Carrera S Alloy Wheels in Black.